Welcome to a new series of posts to share the love of Tunisian Crochet! This post will give you a short introduction to this technique and show you the different tools you can use. I will also let you know the materials you will need to follow the upcoming tutorials for tunisian stitches. So what is Tunisian Crochet? Many people say it is the perfect combination between knitting and crochet and it definitely has a bit a both. It is worked using a hook but you pick up stitches and collect them on the hook like knitting. Before I go into more detail, let’s look at the history of this technique. I did some research and it looks like no one really knows where or when tunisian crochet came to exist, but only that it was practiced in Western Europe and the British Isles in the mid-nineteenth century. There are theories that it originated from Africa or Central Asia but nothing is for sure. The name “Tunisian Crochet” apparently was given by the French and may not be an indication that there is any relation to Tunisia. 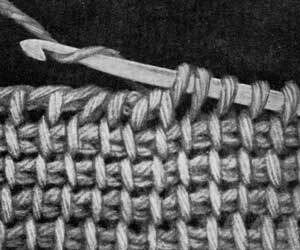 To make things more complicated, this technique is known by different names such as Afghan crochet, tricot crochet, railroad knitting and Sheperd’s knitting. Tunisian Crochet seemed to lose popularity and went off the radar after the 1930s and it is now experiencing a comeback. It is worked in two steps: the forward pass and the return pass. You pick up stitches and leave them on your hook in the forward pass and you work them off in the return pass. You don’t turn your work when doing tunisian crochet, the front is always facing you. The front and back of the fabric are different when working tunisian stitches. This doesn’t mean that you get an ugly back to your work, just that it is different to the front. You should use a bigger hook than the recommended size for a specific weight of yarn, usually two sizes bigger. For example, if you have a DK yarn that calls for a 4mm hook, you should use a 6mm when working tunisian. The only thing you need to master before starting tunisian is how to crochet a chain. Tunisian fabric can be dense and heavy, or light and airy. It all depends on the stitches you use and the weight of your yarn. You can mix tunisian crochet and regular crochet in one project very easily. What tools do you need? Hooks of course! I am sure you will be wondering if you can use regular hooks and the answer is: it depends. Some designers like Aoibhe Ni produce patterns that allow you to use normal hooks as long as the shaft is the same size throughout (it doesn’t widen in the middle). But generally this is not the case, and most patterns will require a tunisian hook. Since you pick up stitches and keep them on the hook you can crochet a piece as wide as the amount of stitches that will fit on it, which will be wider than the hook but not much wider. This the reason why tunisian hooks are usually 30cm or longer if using cables. 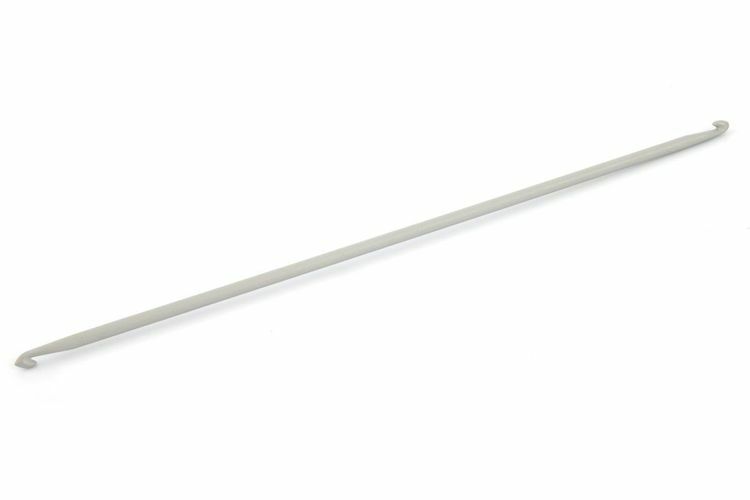 Tunisian hook with stopper: This is basically a straight knitting needle which instead of ending in a point it ends with a hook. The stopper keeps the stitches from falling off the other side, they are usually around 30cm long which makes them a good size for scarves and cowls. Double ended tunisian hook: these have hooks on both sides. You can use them the same way as the ones with the stopper (just with a bit more attention to not loose stitches) but they also allow you to do tunisian crochet in the round. Tunisian hook with extension: These hooks allow you to attach a cord to a 15cm hook to make it as long as 1.5m or even longer. 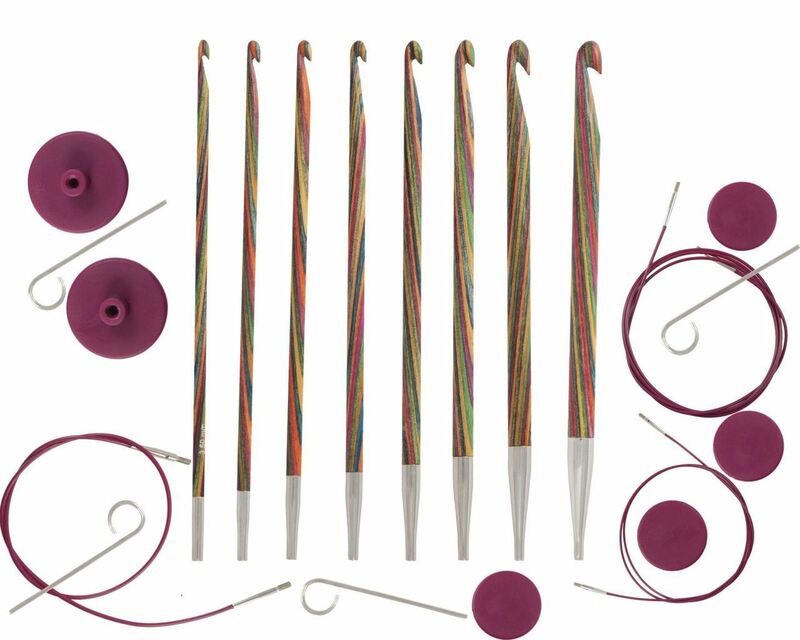 It is the same concept of interchangeable needles but with hooks. The cable ends in a stopper which prevents the stitches from falling off. So which ones should you get? Well, if you don’t want to spend too much money I would go for the double ended hooks. They have the same use as the ones with the stopper but they give you the possibility of working in the round if you ever wished to try it out. However, if you have wrist or shoulder pain when crocheting and can spend a bit more money I recommend buying the interchangeable hooks. I suffer from shoulder pain when crocheting and I have to say with tunisian crochet its worse because the hook is heavier and you keep the loops on the hook which makes it heavier still. Interchangeable hooks are much lighter and have given me no problems since I started using them. if you want to check them out Knit Pro and Aldi have some good ones in plastic and bamboo which are sold by sets so that it ends up a bit cheaper. We will do a stitch sampler, adding one stitch per tutorial to the sampler. I thought at first to write up a pattern so that the finished product had a use but decided that the whole point of this is to learn and you can keep the stitch sampler to go back to whenever you want to remember how a stitch looks like and how it behaves compared to others. If I were to do a pattern I would choose stitches that work with each other and would skip others and that is not the point. It would be ideal if you can get a 30 cm tunisian hook but it is not strictly necessary. You can still do your sampler in a normal hook (with a straight shaft) but it will be a narrower sampler of course of about 10-15 stitches and you will want to add more rows for each stitch so that you can practice them enough times. It would be ideal to work with a yarn that is DK or heavier, this will make the stitches easier to work into. Remember you need a hook 2 sizes bigger than the size the yarn calls for. 30cm tunisian hook if possible, or normal hook with straight shaft. It should be 6mm if using a DK yarn, or two sizes bigger than the normal size required for your yarn. Yarn DK or heavier, in 2 colours (we will learn to change colours as well). Something nice and sturdy would be ideal, but that it doesn’t split easily. Use light colours so that you can see the stitches better. That is is for now, I will be back soon with the first tutorial so stay tuned! You will see how easy it is to learn these stitches by heart 😉 Enjoy and let me know if you have any questions! To reduce weight, you don’t have to resort to buying expensive hooks with extensions on them. You can just use a double-ended hook. When using a double-ended hook, you do not need to have all the stitches on the hook at any one time. As well as being used to work in the round, double-ended hooks can also be used to work in the flat. You can use them to (A) make reversible fabrics, and (B) work very large garments seamlessly (such as blankets made all in one piece, or scarves worked vertically instead of horizontally). You do not appear to be aware of this, so I am just letting you know. Search YouTube for videos called “bedspread technique” and “reversible Tunisian” to show you how to use a double-ended hook in the flat.